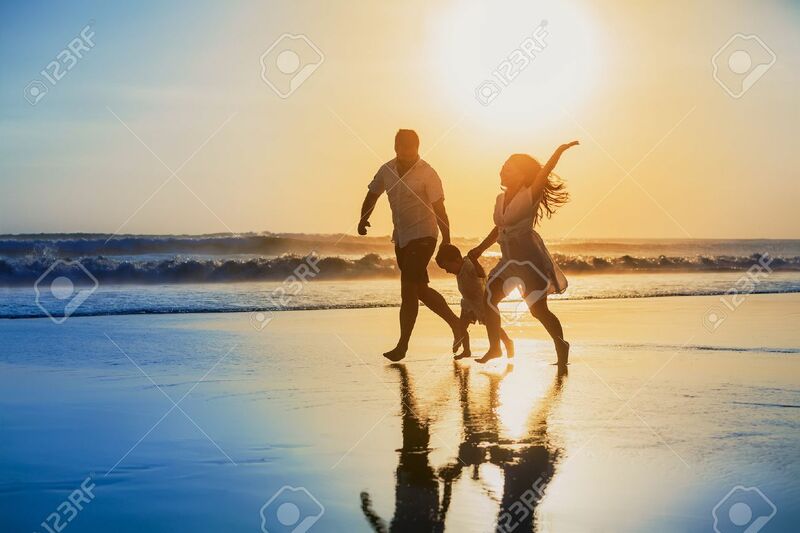 Happy Family - Father, Mother, Baby Son Hold Hands And Run With Fun Along Edge Of Sunset Sea On Black Sand Beach. Active Parents And People Outdoor Activity On Tropical Summer Vacations With Children Royalty Free Stok Fotoğraf, Resimler, Görseller Ve Stok Fotoğrafçılık. Image 45250177.